They’re here! Thanks to a generous donation by the Newington-Cropsey Foundation, the 19th-century Hudson River painters are taking up residence at Boscobel House and Gardens in Garrison in the form of a permanent art installation consisting of cast-bronze busts mounted on pedestals. Each bust features a sculptured portrait of one of the artists and, on the back, an informative plaque about that artist. The Hudson River School Artists Garden, as the project is called, is a work in progress. Thus far Phase 1 is in place with the first four busts, appropriately, of the four best-known artists of the Hudson River School: Thomas Cole (1801-1848), the founder of the Hudson River School; Asher B. Durand (1796-1886), who influenced American art through his editorship of the important journal The Crayon as well as through his own paintings; Frederic Edwin Church (1826-1900), Cole’s pupil, whose magnificent estate, Olana, perches on the heights above the Hudson on the east side of the river, from which he was able to look across to Cole’s house in Catskill; and Jasper Cropsey (1823-1900), a gifted architect as well as painter, who, during his European tour, famously sent back to the States a request for some autumn leaves in order to prove that the fall foliage really is that colorful. Creator of the installation is sculptor Greg Wyatt, a Hudson Valley native with an international reputation for his work. When the project is completed, Cole, Durand, Church, and Cropsey (you can tell that they began with the most prominent artists) will be joined by six more, for a total of ten. In the above photo you can see how the project thus far completed looks in situ. Below are photos of the individual busts. Do you have a favorite? Let me know in the Comments. My personal favorite is Durand; I like the way Greg Wyatt has captured the strength of his personality. Special Offer for my blog readers: Three of my photographs printed on canvas are on sale at my Etsy shop at the special price of $35.00 each and Free Shipping. Two of the photographs show Catskills scenes. Each is 8 x 10. This offer expires on December 31. Click here to visit the site and view these special images. 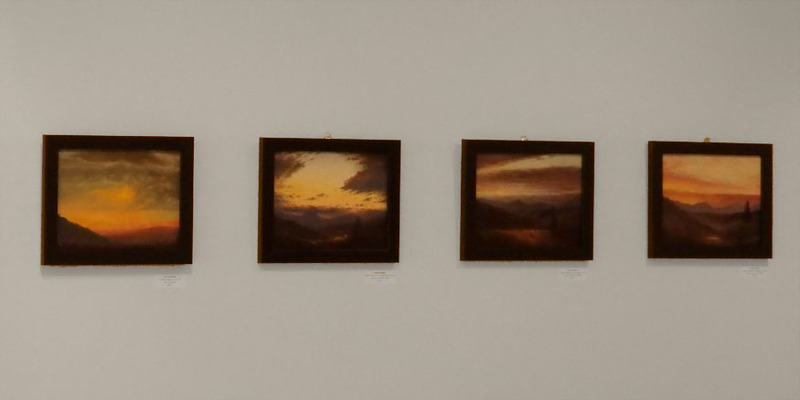 Jervis McEntee (1828-1891) was one of the second generation of Hudson River School artists. Born in Rondout (Kingston), he painted many scenes of Kingston itself (which serve as interesting records of how the town was developing) and of the surrounding countryside, areas that will be especially familiar to anyone who knows present-day Ulster County between Routes 28 and just north of Route 212. 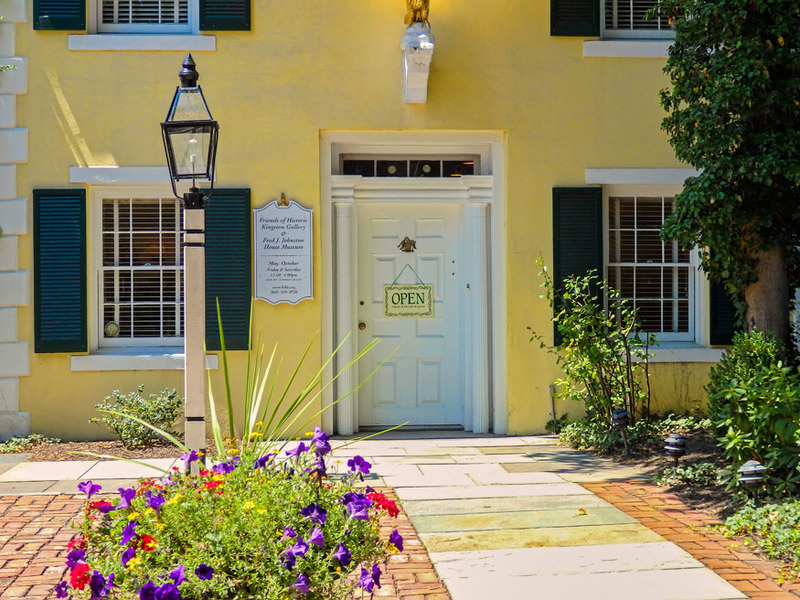 In particular, it was a painting entitled Mink Hollow that sparked my interest in wanting to see the exhibit currently on display at The Friends of Historic Kingston (FOHK) Gallery on Wall Street, Kingston (just opposite the historic Dutch Church). 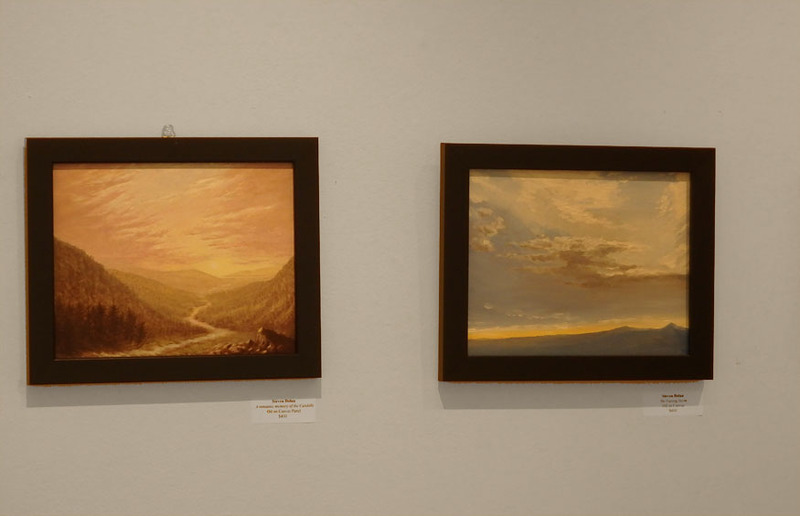 Although McEntee traveled farther afield, particularly to areas of New England that were starting to increase in popularity among vacationers as well as artists, most of the paintings in the FOHK exhibit depict the general area of Kingston and the Catskills. Not all the paintings, however, are titled with their exact spots, which raised two questions of personal interest to me: (1) Do any of the paintings with, e.g., the word pond in the title in fact depict Cooper Lake? (2) Did McEntee paint any scenes from the Esopus Valley villages that were later flooded to make way for the Ashokan Reservoir? 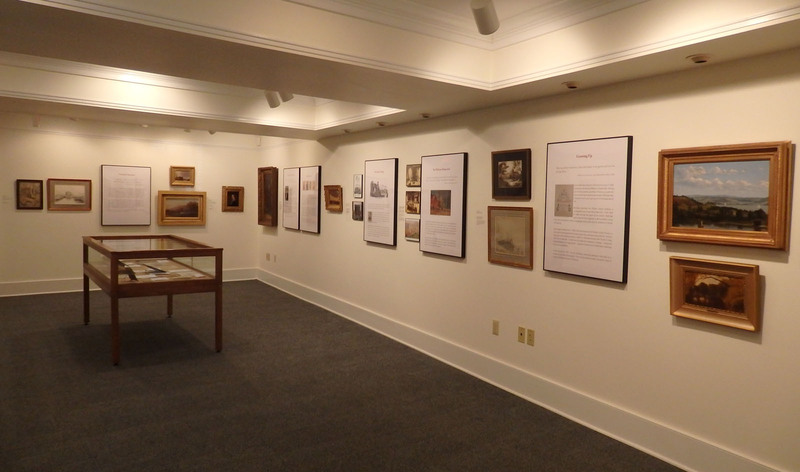 The exhibit space provides ample information about McEntee’s life, including photographs, so that the FOHK have arranged a most admirable introduction to this Hudson River School artist who is not one of the best known (he did apprentice briefly with Frederic E. Church), though he did do an excellent job of depicting scenes in this particular area of the Catskills and their foothills. 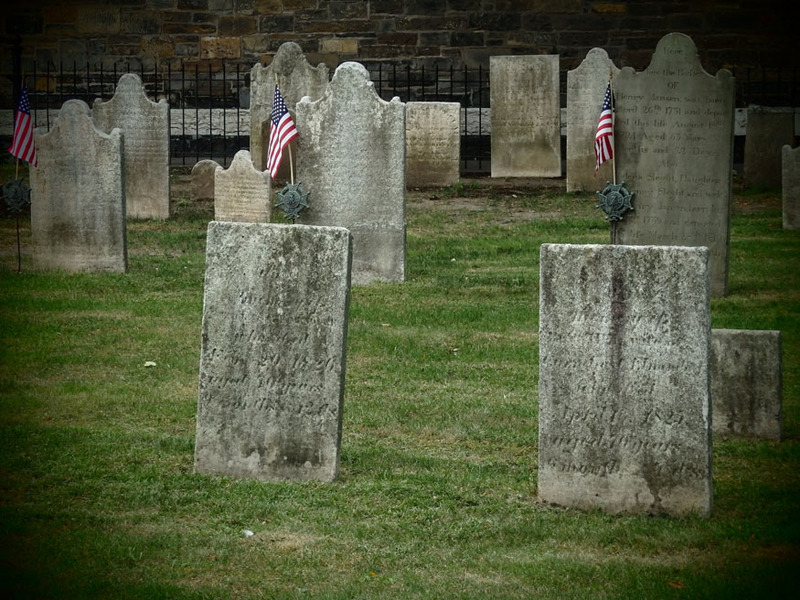 These tombstones are in the yard of the historic Old Dutch Church, across the street from the FOHK Gallery. with McEntee’s painting The Doge’s Palace (Venice), and I couldn’t help wonder what was the motivation behind including it. Stylistically it jars with the other work and (to this paranoid observer, anyhow) it almost seemed an apology that the artist had painted so many scenes of woods and streams in this (then) somewhat obscure area of the New World. Kudos are due to the Black Dome Press for publishing a superb exhibition catalog, Jervis McEntee: Kingston’s Artist of the Hudson River School. The catalog contains not only beautiful reproductions of all the paintings and other visual material in the exhibit, but also two excellent essays by Lowell Thing and William B. Rhoads, respectively, for those who want to deepen their knowledge still further. 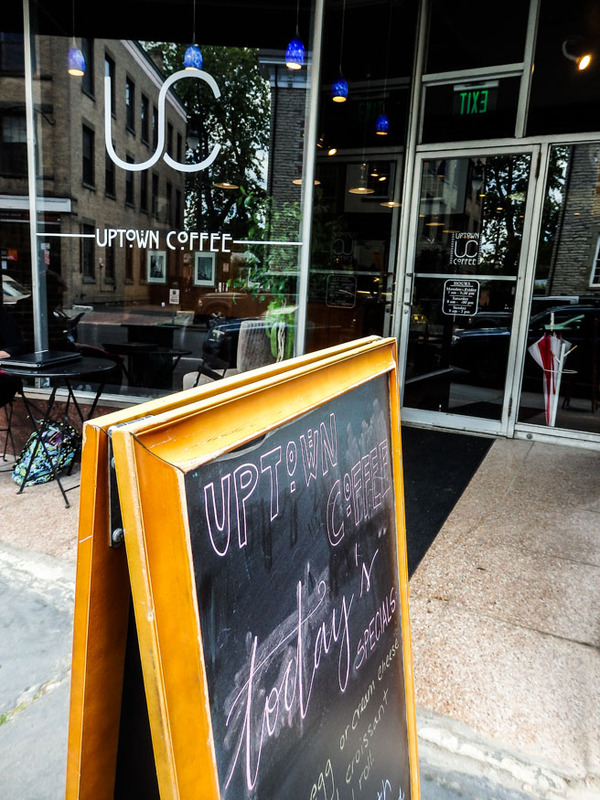 Just up the street, Uptown Coffee is a great place to enjoy a snack or lunch after you’ve seen the exhibit. 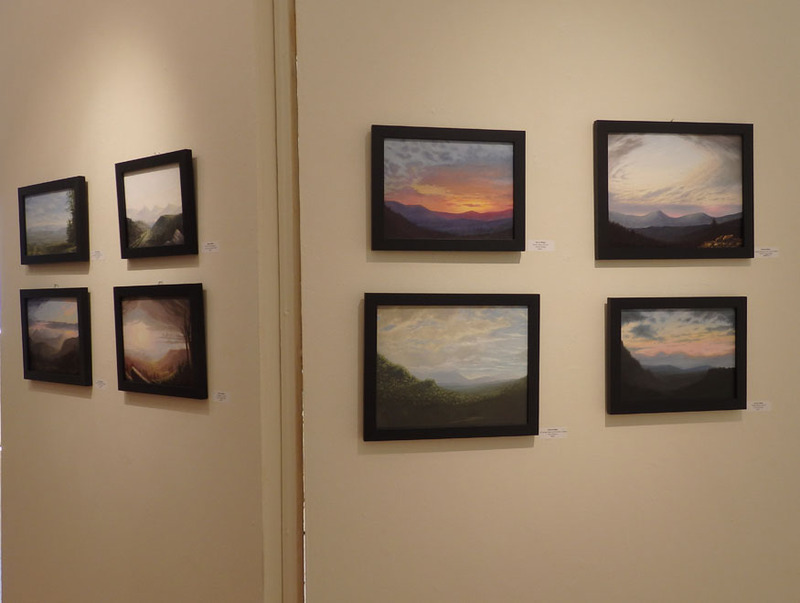 The FOHK exhibit of McEntee’s work runs through October 31, 2015. For anyone who still can’t get enough of McEntee’s work, a still larger retrospective will run at the Samuel Dorsky Museum of Art in nearby New Paltz from August 26 to December 13, 2015. So if you want to have your own McEntee festival, you can plan to see both exhibits on the same day (the Kingston venue is open on Fridays and Saturdays); they’re separated by just one exit on the Thruway. I’m hoping the Dorsky retrospective will include some of McEntee’s paintings of the New England coast. Last weekend I treated myself to a trip to Haines Falls — specifically, to the campus of the Mountain Top Historical Society, where I could enjoy a much-needed walk and take some photographs and then enjoy a presentation in the renovated historic train station that serves as the MTHS headquarters. The presentation by Larry Tompkins was in itself worth the entire trip to the mountain top from the Lower Hudson Valley. Larry recently published a book entitled Out Windham Way, and his talk — illustrated by slides from the book — brought to life the history and people of the Northern Catskills community of Windham and the surrounding communities, such as Hensonville, Ashland, and Prattsville. In her Foreword, Lori Anander, editor of the Windham Journal, observes that history is most often thought of as events such as “world wars, economic upheavals, royal successions, and political transformations” — and then she insightfully points out that “sometimes history can be as simple as a postcard.” That perfectly sums up the purpose and the methodology of Out Windham Way, for in his book Larry Tompkins, a lifelong Windham resident, bases his history on the dizzyingly extensive collection of photographs, other visual material, and oral recollections he has amassed from generations of families who have called this part of the Mountain Top home for countless decades. Larry is just that kind of person — the kind whom these people entrusted with their personal memories and their visual memorabilia, which he has turned into this informative and entertaining history. Larry Tompkins is an engaging speaker and writer. I usually dislike such cliches as “page-turner,” but that was my experience in reading Out Windham Way. Also, in this day and age when so many authors are going in for self-publishing, it’s a feather in his cap that Larry chose instead to submit his manuscript to the prestigious regional publisher Black Dome Press and have it accepted and published by Black Dome’s editor and proprietor, Steve Hoare. The result is a book that’s a verbal and visual delight, both for the quality of the reproductions of this very old historical material and for the attractive layout. Larry had his book for sale at his talk, but I imagine it’s also available at local shops both along Route 23 and Route 23a — and of course, Route 296! It can also be purchased directly from the publisher and on amazon.com. And now here are a couple of the photographs I took that day at the MTHS campus. This is on the path that leads from the MTHS Visitor Center to the Headquarters where the events are held. 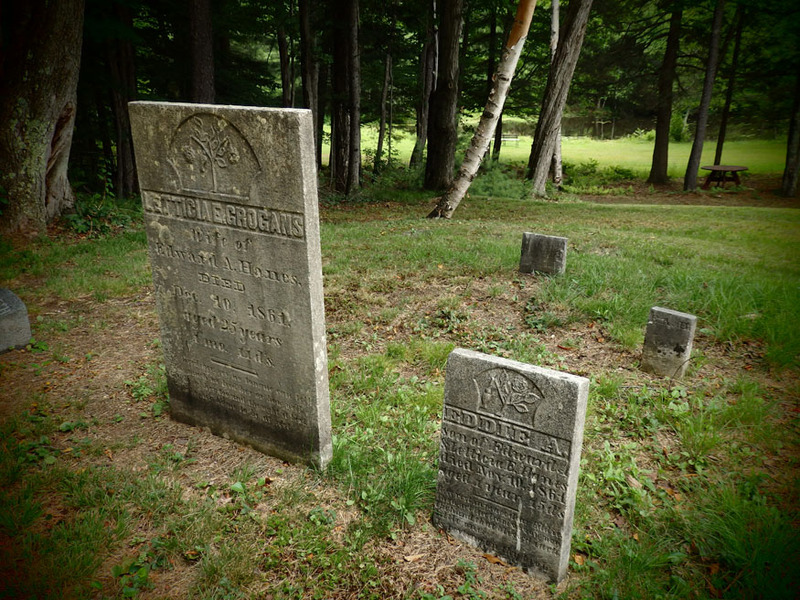 These two are from the cemetery where the Haines family members are buried. 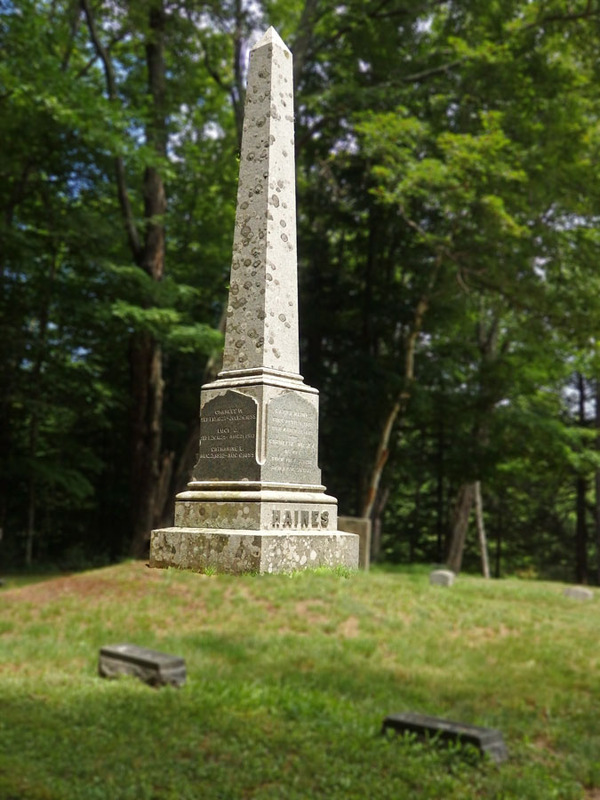 Note the name “Haines” on the obelisk.